Mervyn Short is a member of Berks/Hants/Surrey Border Branch of the RSCDS. 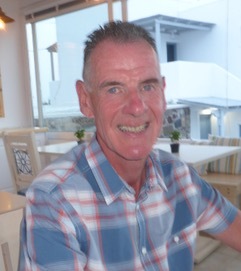 His interests include music, theatre, travel, walking and of course Scottish country dancing. Mervyn started Scottish country dancing over 40 years ago and qualified as a teacher three years later with the Imperial Society Teachers of Dancing. Around the same time, he also started Highland dancing, and, after passing medal tests, qualified to teach. He then taught children and adults regularly at all levels. In 1995 Mervyn gained his RSCDS Full Certificate. Since then he has taught at day and weekend schools all over the UK, Europe, America, Australia, Canada, Japan and South Africa. He also regularly teaches at Summer & Winter Schools. In January, 2016 Mervyn retired so he could devote more time to dancing. He is an assessor for children’s medal tests and tutors and examines candidates for the Society’s teaching examinations. He is very keen to maintain the technique and traditions of Scottish country dancing, but appreciates that it is an evolving dance form, and in 2009 he published a book of dances with an accompanying CD. Since then he has had four other dances published by RSCDS. Mervyn is currently vice-chairman of Berks/Hants/Surrey Border Branch and has served twice on Education & Training Committee at HQ. Jen Schoonover has performed Highland dance at Carnegie Hall, the Kennedy Center and (on an ice skating rink!) on Good Morning America. Her interest in the history of Scottish dance has led her to seek out dances from non-competitive and non-standardized traditions, and she is collaborating on research in highland dance history with Colin Robertson and Mats Melin. 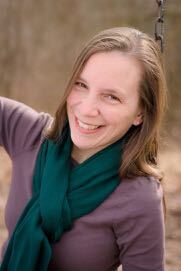 Jen is an Associate Member of the British Association of Teachers of Dancing, a certificated teacher with the Royal Scottish Country Dance Society, and teaches Cape Breton step and set dance at the Canadian American Club in Watertown, Massachusetts. In 2017, she apprenticed with master step dancers Mary MacGillivray and Judy McKenzie through the Massachusetts Cultural Council’s Traditional Arts Apprenticeship grant program. Also a modern dancer and choreographer, Jen has created work for theater groups in the Philadelphia area, Allentown, PA, New York City, and in the Boston area. Jen has served as artistic director of Cape Dance Theater on Cape Cod, is a founding member of Highland Dance Boston, and, in collaboration with Kieran Jordan, created TurnStyles, a dance group fusing contemporary and traditional dance aesthetics. She teaches courses in dance pedagogy at Bridgewater State University. Geoffrey always looks forward to Scottish Weekend, whether to teach, or just dance and see friends. It is always an honor to teach there. For almost 50 years, Geoffrey has been one of North America’s most sought-after Scottish country dance teachers—providing all levels of classes, as well as workshops for new and experienced teachers. These classes have taken him as far as Japan and the RSCDS Summer School at St. Andrews, as well as the USA and Canada. 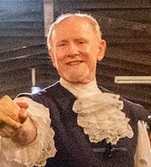 Geoffrey has danced and taught in the Delaware Valley Branch since 1969. On 18 occasions, he has tutored teacher candidates for their certification exams, both in the Branch and at the TAC Summer School. In l980, Geoffrey and his wife, Cecily, also an accomplished Scottish country dance teacher and tutor, wrote the Handbook for Scottish Country Dance Teachers. Now in its third edition, the book is used in candidate classes worldwide. Geoffrey also is the author of numerous articles in TACTALK, the publication of the Teachers Association of Canada, and the RSCDS’s Scottish Country Dancer magazine. In l998, Geoffrey was appointed an Examiner of the RSCDS and is now completing his 21st year examining RSCDS teacher candidates, as well as providing the training for new North American examiners. Geoffrey was awarded the Society’s Scroll of Honor in 2009. In 2013, Geoffrey trained 10 North American teachers as tutors in a course at the TAC Summer School at Mt. Allison College. He feels it is important to keep the Society’s focus on the traditional dances and style of Scottish country dancing, all bound together by an emphasis on dancing socially. As the Society necessarily modernizes, Geoffrey works to keep the old-world graciousness in his students’ dancing. Geoffrey is retired from his professional life as an elementary school science teacher, but volunteers with watershed organizations and teaches adults about stream health and water quality. His hobbies are hiking, baking, gardening and dancing (Scottish and Polish).